Treat me right. I matter. My health matters. 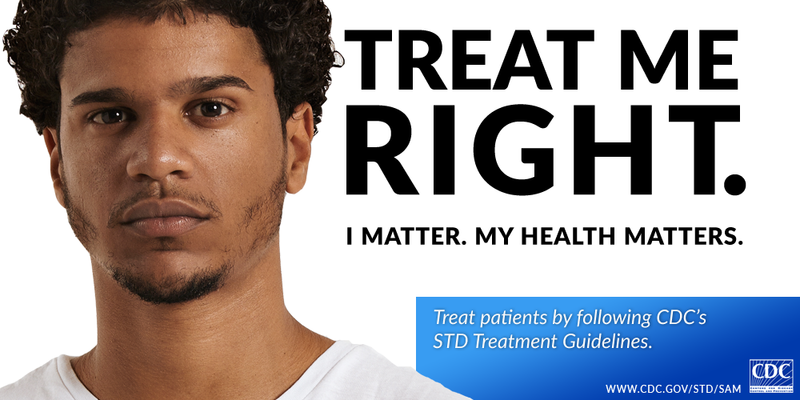 Treating patients by following CDC's STD treament guidelines.